It appears to have started occurring after I upgraded to Mavericks (OS X 10.9), though I can’t confirm this for sure. 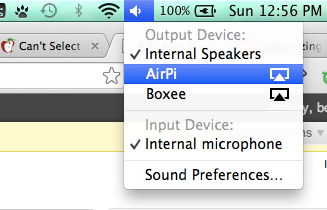 When I select an airplay output device from my Macbook Air nothing happens. However, after selecting a device the audio will continue to play from my Macbook Air, and if I re-open the menu under ‘Output Device:’ my ‘Internal Speakers’ are still selected. This command has been a life saver for me, though I’m still not sure why Apple’s core audio service would be so brittle to get into the bad state necessitating this command so frequently.